Until about 7 p.m. Eastern on New Year’s Day, the SEC was in the midst of a horrendous bowl season. It began with Missouri losing to Texas, in less-than impressive fashion. It continued with losses by Texas A&M and Kentucky in Friday’s early games. And it all snowballed with LSU and Auburn blowing leads in Jan. 1 bowl games to Notre Dame and UCF, respectively. There were some high points in there. Texas A&M played a great offensive game. Kentucky took favored Northwestern down to the wire, losing on a failed two-point conversion late in the game. Mississippi State, even without Nick Fitzgerald, beat Louisville. And South Carolina came back to shock Michigan, scoring the game’s final 23 points for a 26-19 win in the Outback Bowl. The fact that this ruined the Big Ten’s perfect bowl season was just a bonus for the SEC. Of course, no SEC fans were thinking of those positives when Oklahoma took a 31-14 lead over Georgia shortly before halftime. The miraculous field goal before halftime didn’t feel like a game-changer at the time. No, at 7 p.m. ET, the SEC was 2-5 in bowl games and on its way to an embarrassing Rose Bowl loss. Georgia came out swinging in the second half, and everything changed. The Bulldogs eventually came back to win an all-time classic in 2OT (in the Rose Bowl’s first-ever overtime game), shocking Oklahoma and Heisman winner Baker Mayfield. Alabama followed that up with a dominant performance against top-seeded Clemson. 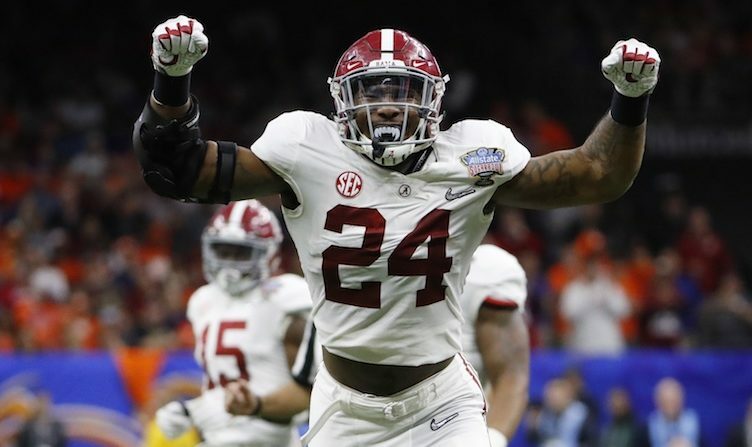 The Tide avenged last year’s national championship game loss with a stellar defensive effort. The game was actually very tight throughout, but two Clemson turnovers in the second half quickly put it out of reach, as neither offense could gain any ground. The committee went out on a limb giving the SEC the benefit of the doubt this year. The conference put two teams in the Playoff, though it did not seem to live up to that billing at first. The quality wins in-conference got weaker and weaker as bowl season went on. With Alabama and Georgia winning, that all changed. It all became irrelevant. No one will remember or discuss the conference’s poor start to bowl season. What was once on the verge of being a disaster for the conference has suddenly become another trophy in the case and another argument in its favor as the best conference. The SEC earned a lot of cache with its strong run from 2006 to 2012. The conference has parlayed that into a consistent benefit of the doubt — from voters, media, and the selection committee — to this day. That was evident when Alabama made the Playoff this year. That was evident when the whole college football world assumed that Auburn would get in the Playoff with two losses had the Tigers beaten Georgia. With these two semifinal wins, that cache and benefit of the doubt will only be stronger moving forward. Going 2-5 in the rest of bowl season isn’t even an afterthought. The SEC reminded the college football world that it often hosts the best team in the country. This year, it looks like the best two teams reside in the SEC. And no amount of bowl losses in other games will distract from that.